Staff Selection Commission has now released Admit Card for CGLE 2017. You can Download region wise SSC CGL Admit Card 2017 from the links mentioned below. Initially SSC CGLE scheduled from 1st to 20th August but now it is scheduled from 5th August to 24th August 2017. There will be no exam on 7th, 13th , 14th and 15th August, 2017. 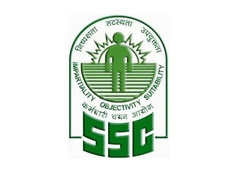 SSC has released Admit Card separately for different regions on their regional websites. Aspirant can download his/her admit card from the links given below by selecting appropriate region, candidate have to fill required information. Candidate will need Registration Number/Roll Number and the Password/D.O.B for download Admit Card..